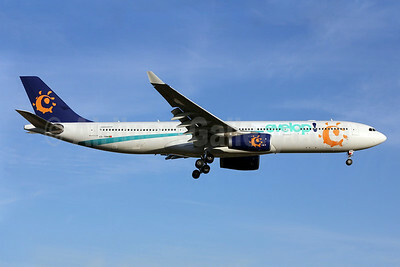 (formed from the assets of Orbest Airlines) (E9/EVE) (Palma de Mallorca) 2013 - Current. Photos. Framable Color Prints and Posters. Digital Sharp Images. Aviation Gifts. Slide Shows. 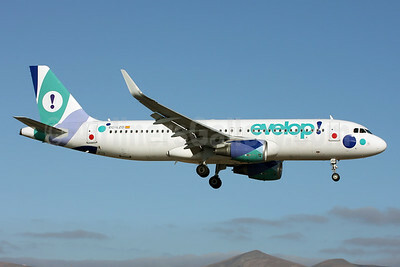 Evelop Airlines Airbus A320-214 WL EC-LZD (msn 5642) ACE (Terry Wade). Image: 922203. 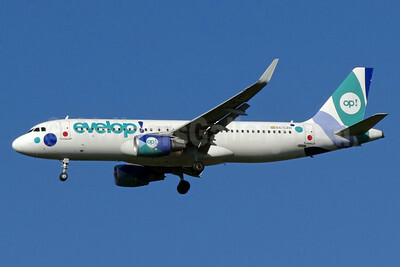 Evelop Airlines Airbus A320-214 WL EC-LZD (msn 5642) AMS (Ton Jochems). Image: 927616. 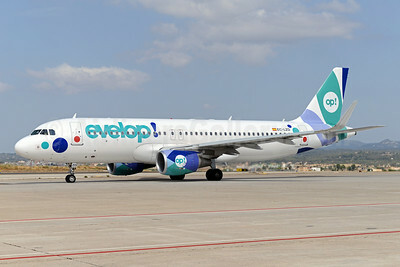 Evelop Airlines Airbus A320-214 WL EC-LZD (msn 5642) BSL (Paul Bannwarth). Image: 923940. 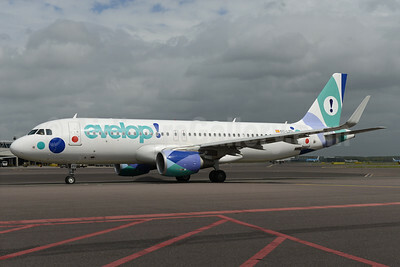 Evelop Airlines Airbus A320-214 WL EC-LZD (msn 5642) PMI (Ton Jochems). Imge: 923265. 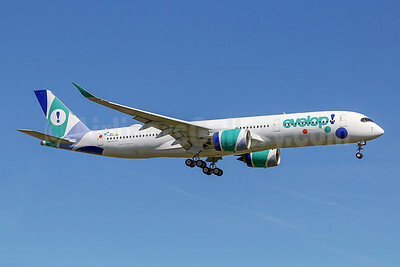 Evelop Airlines Airbus A330-223 EC-MKT (msn 139) ZRH (Andi Hiltl). Image: 933680. 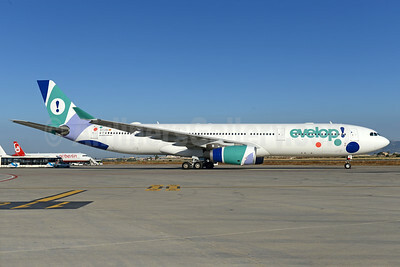 Evelop Airlines Airbus A330-343 CS-TRH (msn 833) (graffiti titles) MAD (Greenwing). Image: 929145. 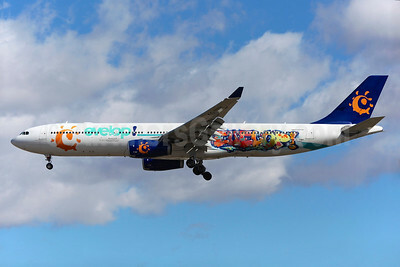 Evelop Airlines Airbus A330-343 CS-TRH (msn 833) (Iberworld colors) LIS (Pedro Baptista). Image: 922835. 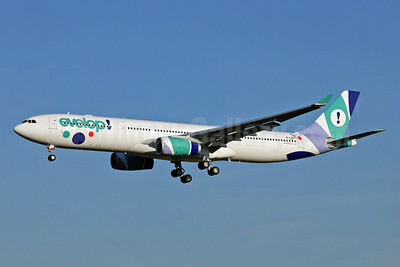 Evelop Airlines Airbus A330-343 EC-LXA (msn 670) PMI (Ton Jochems). Image: 938264. 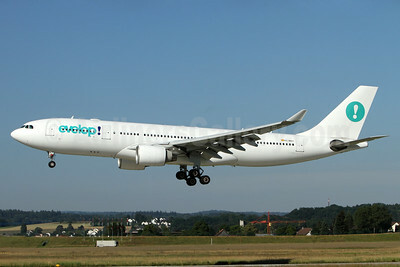 Evelop Airlines Airbus A330-343 EC-LXA (msn 670) PMI (Ton Jochems). Image: 938265. 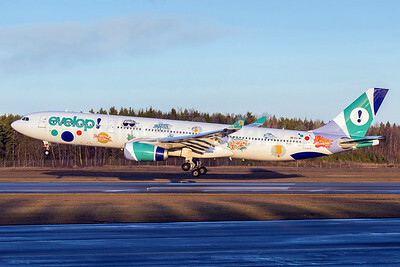 Evelop Airlines Airbus A330-343 EC-MII (msn 1691) (holiday stickers) ARN (Stefan Sjogren). Image: 936264. 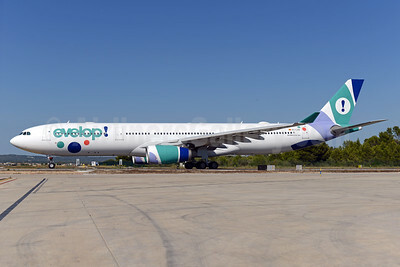 Evelop Airlines Airbus A330-343 F-WWYQ (EC-MII) (msn 1691) TLS (Eurospot). Image: 930614.